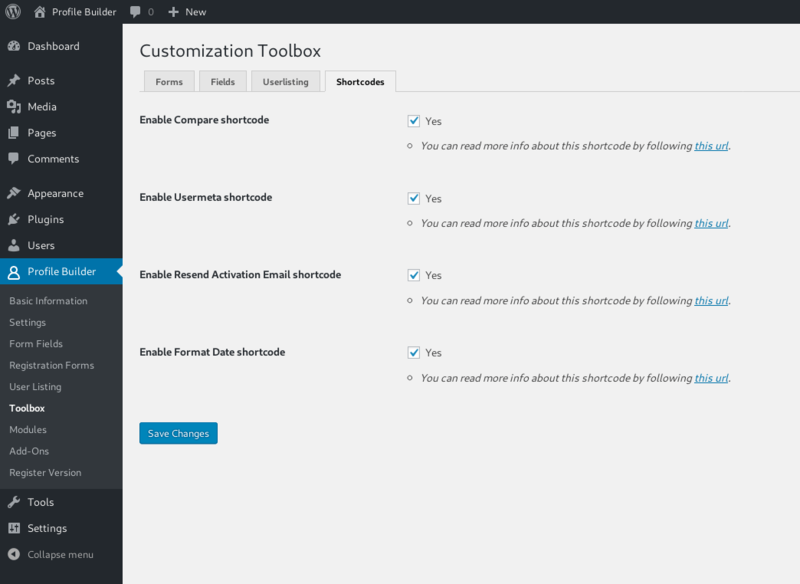 This powerful free add-on is an all in one toolbox packing Profile Builder’s most popular customization requests. 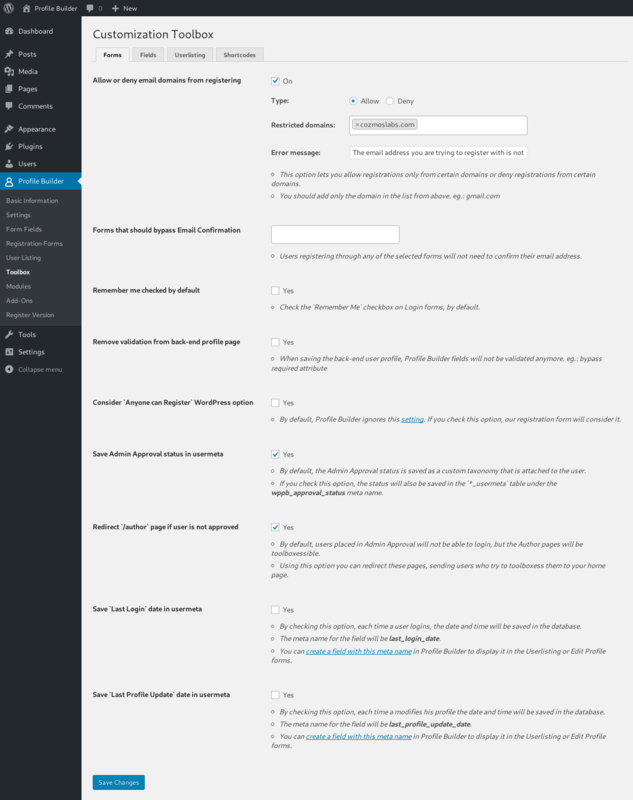 It adds a new menu page with extra options and specific features that you can enable and configure. 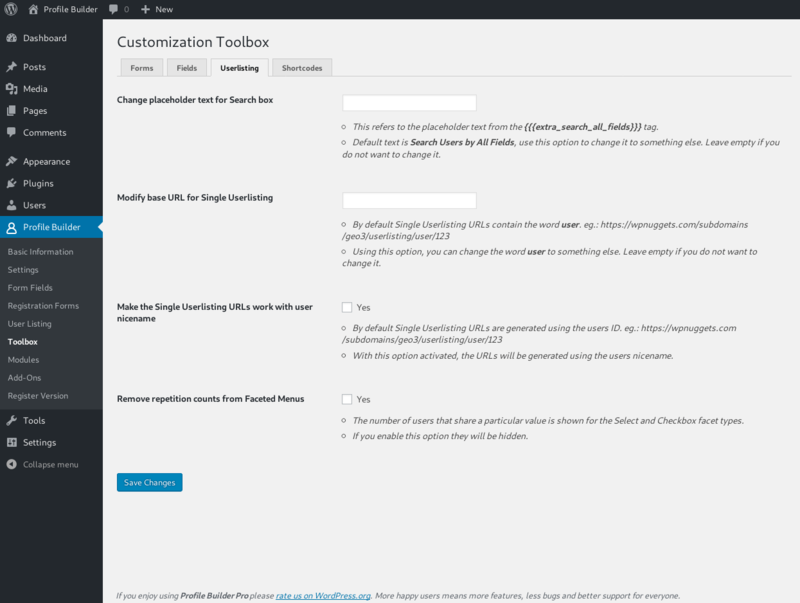 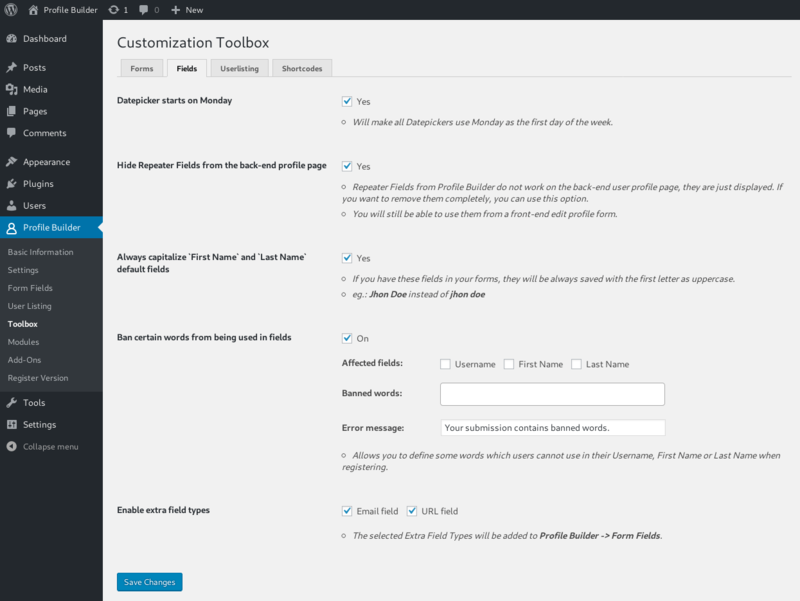 Find out more by reading the documentation for the Profile Builder – Customization Toolbox Add-on.